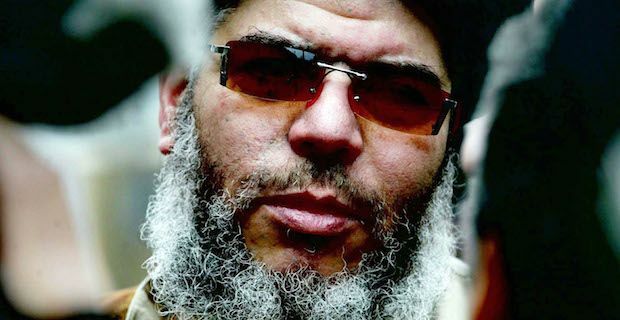 Abu Hamza has been found guilty on 11 counts of aiding and abetting terrorists by a federal jury in New York City this week. Let's take a look at the life of Hamza and follow how he ended up in the UK. Born on the 15th of April 1958 in Alexandria, Egypt, Hamza's father was a military officer and his mother was a primary school teacher. Hamza moved to the UK in 1979 on a student visa to study engineering at Brighton Polytechnic. Shortly after this he married an English woman. The marriage did not last long but Hamza was feeling more and more at home in the UK by the day. Then in the 80's, the Iranian revolution began and in 1987 Hamza did a little bit of travelling where he met Afghan mujahideen leader Abdullah Azzam. When Al Qaida was formed 2 years later, Hamza claims he was asked to join but declined as he says he disagreed with their main aims. These events seemed to mark a change in his ideals and beliefs about the world. It was in 1993 that Hamza lost an eye and both of his hands in an explosion in Pakistan. This event gave him his unique appearance with hooks in the place where his hands once were. Then in 1997, Hamza returned to the UK and began preaching at the Finsbury Park mosque where he garnered a large following of people. A year later, Hamza was involved in the kidnapping of 16 tourists in Yemen and this incident formed many of the charges he would face both in the UK and the US. In 2004, he was arrested under section 41 of the Terrorism Act 2000 and once in custody, the USA requested he be extradited to face charges over there. Hamza was jailed for 7 years in the UK after being found guilty on 11 charges. Meanwhile, his extradition process became bogged down in appeals and re-appeals as Hamza took his case to avoid facing charges in the USA all the way to the European court. Finally, Hamza was extradited to the States in 2012 where he pleaded not guilty to 11 charges. He was found guilty on all those counts on Monday and will be sentenced in September where it is expected he will receive a term of life in prison. David Cameron has welcomed that has finally faced justice but is worried that the UK's extradition lawas are currently not effective enough. Cameron said "We must reflect on whether we can extradite faster". After the precedent set by the Hamza case, it is now likely that extradition cases will take far less time in future.